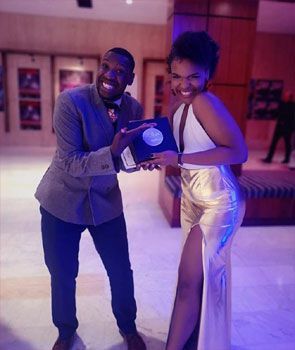 Live Performance student Nancy Sekhokoane strutted off the red carpet at the 54th Fleur du Cap Awards with the Most Promising Student Actor award, making it two on the trot for AFDA students at the awards, after Luntu Masiza picked up the coveted award in 2018. For more than five decades the Fleur du Cap Theatre Awards, together with Fleur du Cap Wines, have been honouring excellence in theatre at this theatrical event that is a highlight of the Mother City's cultural calendar. Winners are chosen from productions performed at professional theatre venues in and around Cape Town. Theatre practitioners are recognised for their acting, directing, staging and technical abilities. Category winners receive R15,000 and a silver medallion. A total of 87 diverse productions from the year under review were eligible for consideration. The awards, considered in 26 different categories, include an award for Lifetime Achievement, which went to Saul Radomsky, and the award for Innovation in Theatre which was handed to the Theatre Arts Admin Collective. These special awards were presented by the legendary David Kramer and trail-blazer Amy Jephta respectively. The awards ceremony was directed by Mbongeni N. Mtshali, Fleur du Cap Theatre Award recipient for Best New Director in 2016. The entertainment on stage unfolded under the musical direction of José Dias, who performed together with Nomfundo Xaluva, Dr Dizu Plaatjies, Sibonele Dance Group, the Township Opera Company, the University of Stellenbosch Jazz Band and Zip Zap Circus. 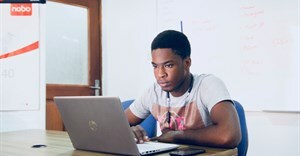 AFDA is a registered private higher education institution offering accredited degree and higher certificate programmes for the creative economy. AFDA is also a member of CILECT, an international association for over 180 top film and television institutions worldwide.